Hi everyone, I hope you’re all having a good GR7 with your European iTeams and making the most of those SIX transfers! GR7 concludes next week so it’s time to put that on the backburner for a few days, check out what’s going on in the Premier League and make some plans for GW27. So, we had 4 fixtures Tuesday evening: Cardiff vs Aston Villa, Hull vs Southampton, West Ham vs Norwich, all kicking off at 7.45, and West Brom vs Chelsea, kicking off 15 minutes later, giving us an option to bring in Chelsea players, along the lines of Hazard, Ivanovic, or Eto’o if you’re really desperate! Chelsea play first in GW27 so their players were a more favourable option to West Brom players. Those bold enough to invest in Ivanovic (not me) benefitted in the 45th minute when he scored Chelsea’s one and only goal of the evening, those who didn’t invest in Ivanovic (me) breathed a sigh of relief when Anichebe slotted home West Brom’s equaliser on 87, and Terry missing the game through Injury suddenly became less significant. There was no real surprises in the other three fixtures, West Ham racked up their 4th consecutive premier league clean sheet with a 2-0 win over Norwich, Collins and Diame netting for West Ham, Southampton sneaked a 1-0 away win at Hull, Fonte popping up with another goal and Lallana continued his good run of form grabbing his 8th assist of the season. Cardiff drew 0-0 with Aston Villa, so Tuesday was generally a good night for defenders. On to the Wednesday night fixtures, we had, 7.45, Arsenal vs Man United, Everton vs Palace, Man City vs Sunderland, Newcastle vs Spurs, Stoke vs Swansea and then at 8pm Fulham vs Liverpool, this was the evening out of the two that had the most points scoring potential, Man City at home are always likely to find the net a few times and Everton should have enough to shut out Palace. The GW took a turn for the worst an hour before these games were due to start, first the Man City vs Sunderland game got called off due to the untypically bad weather in Manchester, Vincent Kompany tweeted “Game’s called off! Make sure you get yourselves home and be safe, weather is terrible” what he didn’t tweet is what we should do for transfers and a captain selections now?!?! Fantasy managers around the world were rapidly tearing up bits of paper and franticly knocking up new transfers plans, the options seemed limited, and they got even more limited shortly after the Everton and Palace team line ups were announced, as that game got postponed too, also due to the weather. This news came too late for some who’d already transferred in Baines, Coleman, Mirallas etc, all wasted transfers, those managers can understand just how poor old Ric Wee was feeling, Ric had travelled 7,000 miles from Kuala Lumpur to Goodison Park and had earlier tweeted “Finally, 30 years since supporting @Everton, will b watching EFC “live” for 1st time” … Ummm, think again Ric! That left us four fixtures, the Stoke vs Swansea fixture got delayed but went ahead with Crouch and Chico both scoring in a 1-1 draw, Arsenal drew 0-0 with Man United and Spurs proper thrashed Newcastle 4-0 with goals from Adebayor (2) Paulinho, and Chadli. In the 8pm kick off Liverpool came from behind twice to take all 3 points at Craven Cottage with Steven Gerrard scoring a 90th minute penalty in a 3-2 away win, Sturridge and Coutinho the other Liverpool scorers, with a Toure OG and Richardson goal having twice put Fulham ahead. I’ll not dwell too much on players to watch out for, we’re 26 gameweeks into the season so you’ve already got an idea that Giroud is a better transfer option to Bendtner and Hazard is more likely to score than Ramires, what I want to focus on is who’s playing who, when, and what teams to avoid all together! We’ve already had two postponed games and there are two more postponed in GW28 due to the League Cup Final. Man United vs Man City and Sunderland vs West Brom have bitten the dust, the Manchester derby will now be played in GW31 but as yet there is no news on a new date for Sunderland vs West Brom fixture. Without trying to get too far ahead of ourselves here there’s also another 5 fixtures up in the air in GW29 due to the FA Cup, Arsenal vs Swansea, Man City (again) vs Aston Villa, West Ham vs Hull, Newcastle vs Everton and Liverpool vs Sunderland, the last three fixtures there could still be played in GW29 as rearranged midweek fixtures, but Arsenal vs Swansea and Man City vs Aston Villa cannot be played in GW29 due to Champions League fixtures. That means Man City have no EPL fixture in GW28 and GW29, you can read that as sell them this GW, and what’s really bad is that City are first to play in GW30, it never rains but it pours hey, well, it does in Manchester anyway. I can’t see there being a lot of goals here, but I do fancy Chelsea for the win and clean sheet. Prediction – Home win Key Player – Eto’o! Prediction – Home win Key Player – Rams… errr… Walc… hmm… Oxlade-Chamberlain! 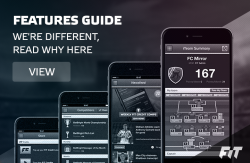 Transfer Tips – Arsenal miss GW29, so don’t go overboard on their players. Sunderland, or should I say Johnson doesn’t play in GW28, and GW29 is up in the air, sell him after this game if ou’e still got him. Cardiff need the win here, I don’t think they’ll get it, and from a fantasy managers point of view I haven’t got much interest in this one. Transfer Tips – This is City’s last EPL fixture for two GW’s, look to sell their players after this fixture. I can’t see Stoke players getting many points here but a few of their usual points scorers have potential over the next few GW’s. West Brom are tough to beat at home, Fulham will want to impress their new boss, this should be a good game, what? I’m serious! 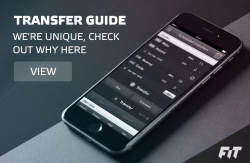 Transfer Tips – West Brom don’t play next GW and Fulham host Chelsea in GW28, I’l not be transferring anyone n for this one. I’d never back against Liverpool at home while Sturridge and Suarez are fit, they’re in great for and I can’t see anything other than a home win here. Both teams are having a bad run, Newcastle have conceded 10 goals in the last 3 league games without reply and Villa couldn’t find a way past Cardiff, Remy is back for Newcastle and could make the difference, it should be interesting! Well that’s enough waffle from me for this GW, whatever you decide to go for this GW then the best of luck with it!